Our service management software is accessed through a web console and mobile app that allows you to issue PDF certificates and worksheets, as you used to with NCR carbon paper. 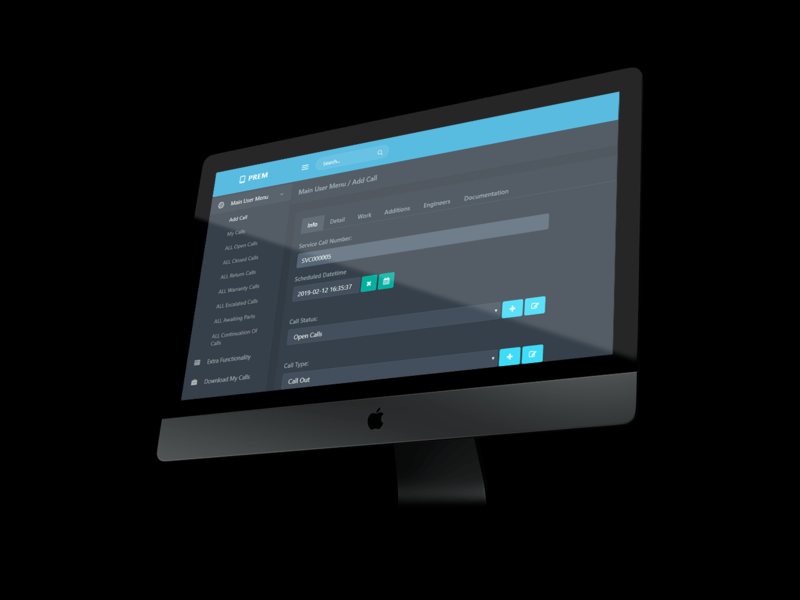 Your team can book via telephone, design their own worksheets, and issue jobs to the engineers mobile app, and you can know you’re covered because PREM manages your forward planning and reporting too. 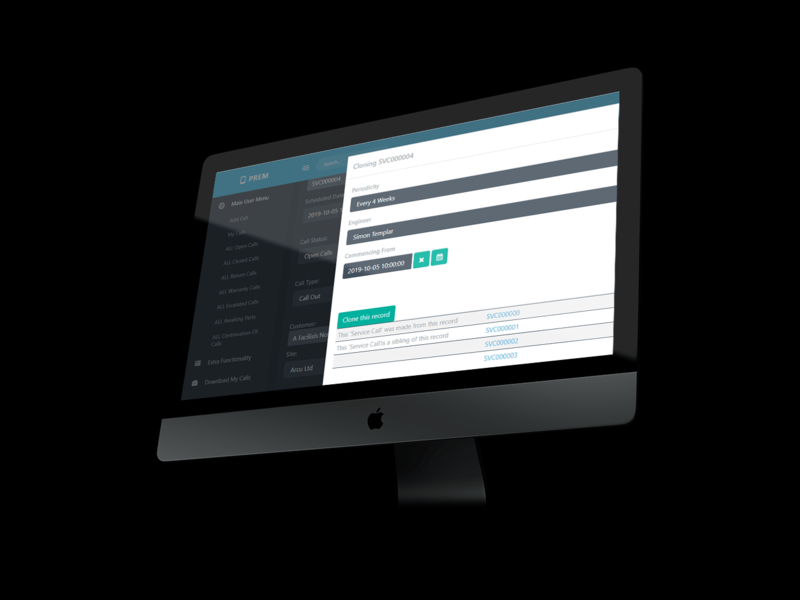 Our management software works hard with triggers when things need to be brought to your attention, providing the extra help you need to manage peak times. 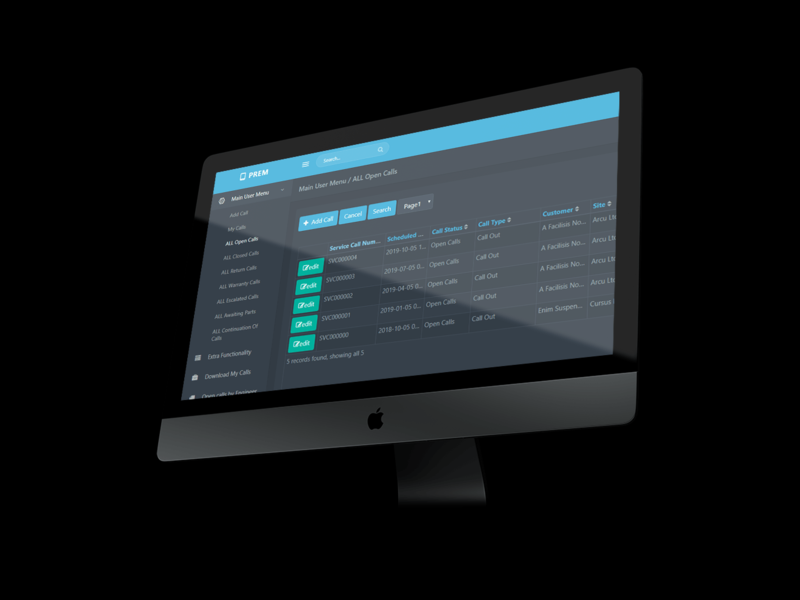 The PREM Service Management App is incredibly flexible to your needs: You can set unlimited number of worksheets or certificates, whether you are conducting maintenance, inspections, deliveries, collections, installations or certifications. By managing your service calls through PREM, you need never lose a worksheet. Better still the engineers like the APP because it works even offline. So whatever the number of your engineers or drivers, PREM takes care of it all, and keeps you updated on every job. Start your 4 week FREE trial today, and see for yourself. In PREM you assign an engineer via the web console. You can assign any kind of delivery, collection, maintenance, inspection, installation or certification. The PREM App gives your engineers access to the job even in an offline situation, which will work even if they go off grid away from 3G. At the end of the job they can collect the signature and close the job. PREM records when the job was closed and where – it’s easy to use, all branded with your logo. 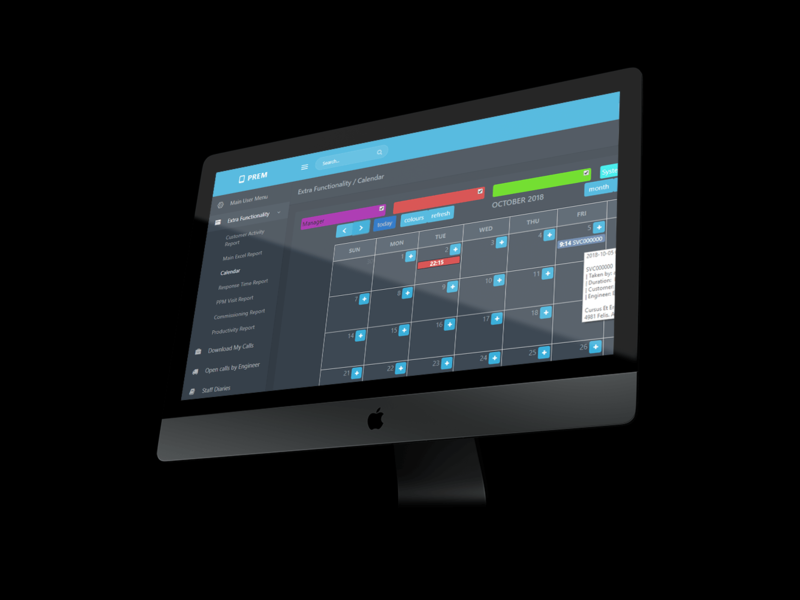 PREM Service Management Software makes it easy for you to plan all your operations too. It clones maintenance jobs across your schedule, email alerts to go to engineers & managers as needed.